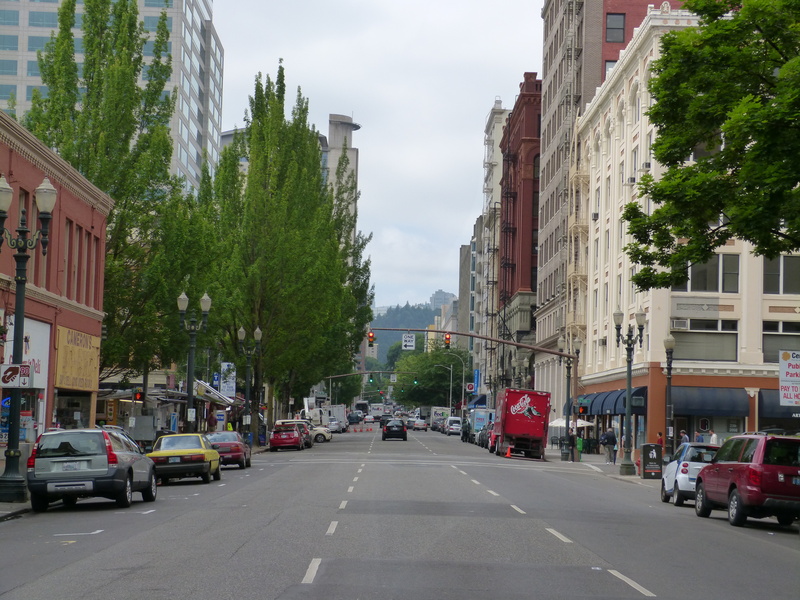 I had assumed that we would never have reason to visit Portland (Oregon), so it was rather a surprise to find out that we were going there. As it was we only had an evening and a morning to look around, and we could easily have spent longer. 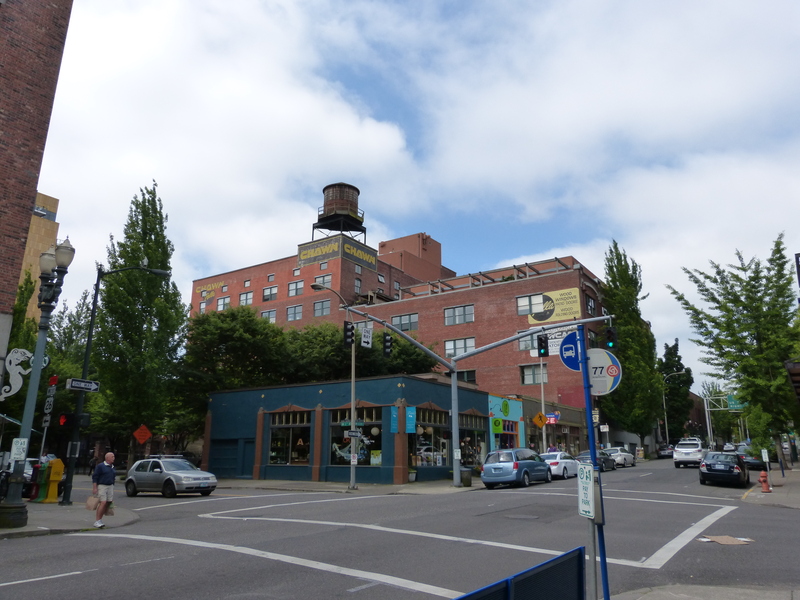 We stayed at a shiny new hotel in the Pearl district, a neighbourhood now full of fancy-looking industrial buildings converted into apartments, cute parks, interesting shops and a variety of restaurants and bars. 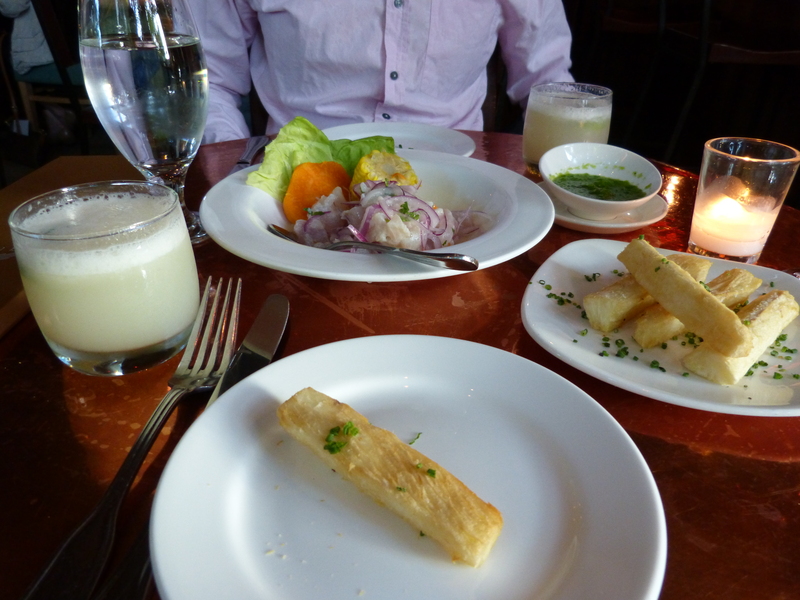 It was perfect for an early evening stroll, followed by a feast of Peruvian food (in belated celebration of our anniversary). The next day started with a swim in the hotel pool, followed by a walk around town. 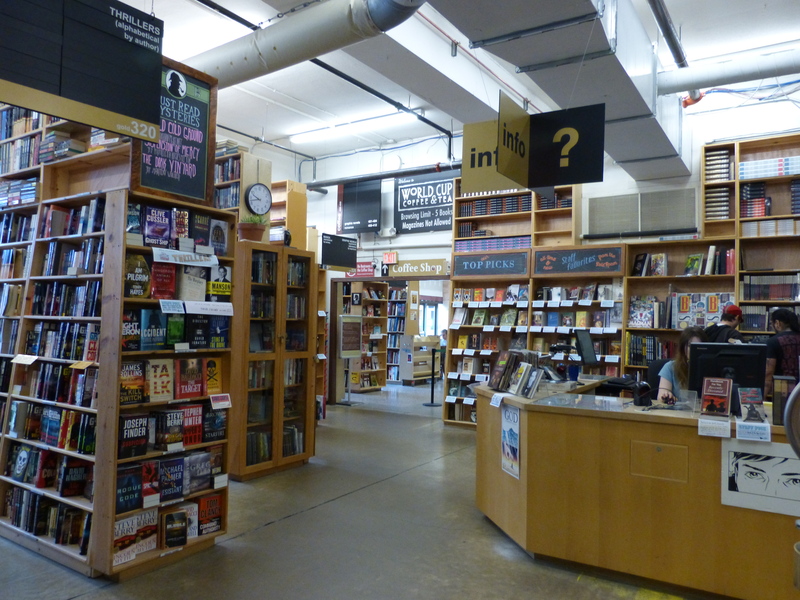 Probably the highlight was the wonderful Powell’s bookstore, and we could easily have spent the entire day in there, but we escaped without spending too much money and pushed on. Composed mainly of wide tree-lined streets flanked by fairly short and stately buildings, the city centre was very pleasant for strolling around. The surrounding wooded hills were visible along almost every cross-street, the air was fresh and cool (assisted no doubt by the excellent provisions for cyclists and pedestrians), and overall we were sorry to be leaving so soon. As usual there are plenty more photos, and a select few can be seen by clicking here. This entry was posted in Holidays and tagged 2014PNW, Andina restaurant, Portland, Powell's books, swimming by Emma Davidson. Bookmark the permalink.